BookMyShow Corporate Solutions is the B2B wing of the company and acts as a one stop shop for corporate solutions for consumer promotion, employee R&R, loyalty and trade partner incentive through BMS entertainment vouchers. These customized vouchers can also be used as a part of any loyalty program, ATL & BTL promotions, sales & HR incentive, lead generation and much more. With gifting becoming more about experiences, what’s better than gifting entertainment, right? People don’t buy what you sell. They buy how you do it. With BMS vouchers, see this difference reflect in your sales number as they zoom upwards. After all, who wouldn’t be pleased with a year-long supply of free entertainment, right? By choosing BMS vouchers, companies have not only seen upraise in the success rate of their promotional campaigns, but have reportedly altered consumer behavior in their favour. 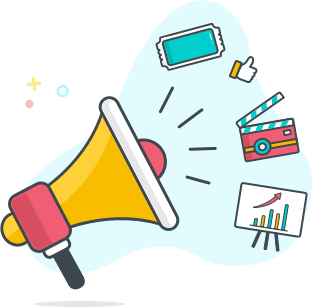 Additionally, through the vouchers you can also upsell your products that are endorsed/used by celebrities and link them to their scheduled releases to get that captivating edge for your campaign. Transitioning from a pitch to a profitable business was never this easy! A suite in experiential marketing designed to tailor all clientele, our vouchers offer assorted entertainment which undeniably is a sure-shot way to generate footfalls. 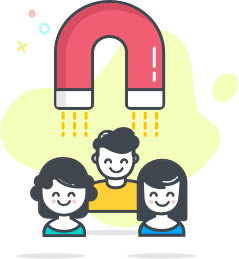 Additionally, you can add positive referrals, retain existing customers and trigger change management for client delight amongst the industry peers. 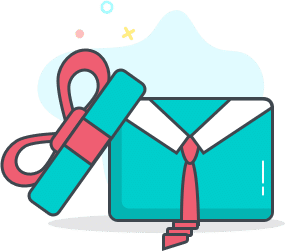 Our corporate gifting solution is designed especially to give you an edge in enhancing your business, build trustworthy relations, engage employees effectively and meet your ever-dynamic consumer objectives. As a business solution, it not only boosts footfalls and uplifts business opportunities, but is also widely accepted. Nobody ever says no to entertainment, right? With a plethora of options like movies, sports, stand-ups, theatre and more in store, we are sure your patrons will always have something that’s just perfect for their mood. After all, amazing things happen when you decide to indulge your customer! Gifts are easily forgotten but experiences last a lifetime! Our Corporate Vouchers are not only preloaded with an assortment of experiences and pocket friendly entertainment, but they are also the perfect giveaways for every time you want to reward an achiever. For leaders out there, they’ll motivate the workforce and the clients alike, while serving as a medium to connect in various non-work situations. Our team will help plan the day (be it birthdays, anniversaries or any other) and make it memorable. People don’t buy what you sell. They buy how you do it. With BMS vouchers, see this difference reflect in your sales number as they zoom upwards. After all, who wouldn’t be pleased with a year-long supply of free entertainment, right? 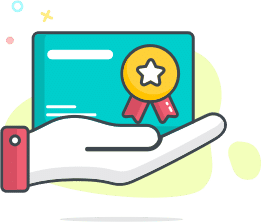 By choosing BMS vouchers, upraise the success rate of your promotional campaign and take that leap towards altering consumer behavior in your favor. Our corporate gifting solution is designed especially to give you an edge in enhancing your business and meet your ever-dynamic consumer objectives. As a business solution, it not only boosts engagement but also uplifts business opportunities. With a plethora of options like movies, sports, stand-ups, theatre and more in store, we are sure your patrons will always have something that’s just perfect for their mood. Nobody ever says no to entertainment, right? When nothing can bail you out, loyalty always will! With BMS vouchers, get ready to re-define customer loyalty. The customers can use BMS vouchers for ‘earn and burn’ on your platform. In addition, BMS vouchers are the ideal product even when it comes to the non tech-savvy stakeholders and customers! In a country where Cricket, God and Movies sell like hot cakes, we have everything that you might need to amass loyalty and boost sales. Gifts are easily forgotten but experiences last a lifetime! Our Corporate Vouchers are not only preloaded with an assortment of experiences and pocket friendly entertainment, but they are also the perfect giveaways for every time you want to reward an achiever. For leaders out there, they’ll motivate the workforce and the clients alike, while serving as a medium to connect in various non-work situations and make it memorable. Movie pack comes to you with a unique gifting solution. 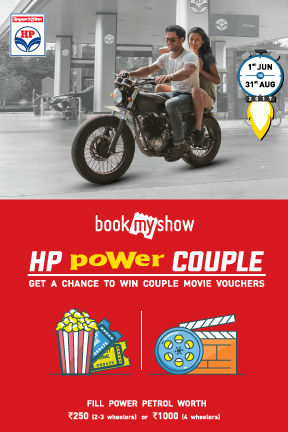 A best of combinations which suits any acquisition strategy and gels with just about any promotional campaign, by pre-bundling movie tickets for 3, 6 & 12 months. The Movie Pack will come to you at a deep discount and, hence it's applicable for the volume of 3000 and above. This creation can be customized and used for any marketing and consumer activity, corporate reward/incentive program. BookMyShow gift vouchers are these amazing little pre-loaded cash cards (prepaid cards) which can be used to purchase ticket(s) across all categories (Movies, Events, Plays, Sports) through our official website/App. The vouchers have a validity of 6 months, during which they can be used on multiple occasions and can be loaded with various denominations of any amount. Be it employee rewards, trade channel incentive or consumer engagement, a gift voucher fits all. 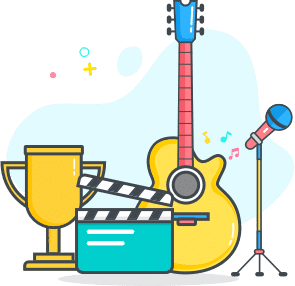 WinPins are promotional codes that offer a convenient way to present customers, employees or business partners with free or discounted tickets while booking through BookMyShow. WinPin is a single usage customizable product. This can be in the form of set amount/value or a percentage of discount on the ticket cost. An ideal suit for movie and product promotions, consumer activation and countless more! 80% share of online entertainment ticketing! Sprawling presence in over 450+ cities. The cinematic experience, now on over 4500+ screens! 1000+ corporates who trust us with their entertainment needs. Over 10 million tickets sold per month! Almost half of a Bollywood movie’s box office collections. "Through our partnership, we have been able to create waves of excitement and interest amongst our customers. It has helped us to build a long lasting relationship & a special bond with our clients as movies is something that appeals to everyone. Thank you, BookMyShow!" "As a token of our appreciation to the prospects who visit our Holiday World, we offer them BMS vouchers. 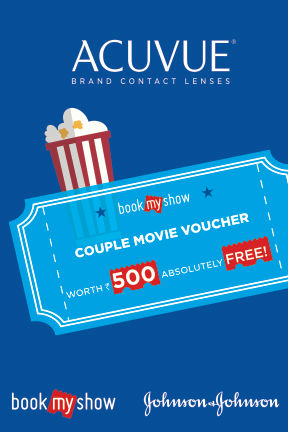 These vouchers helps us further reinforce our core thought of creating 'Magical Moments' for them and instantly put a smile on their faces"
“Through our partnership with BookMyShow, we have been able to offer very exciting events privileges to our Select members. We were able to drive excitement/ engagement with unique offering which was much appreciated by our privileged members. 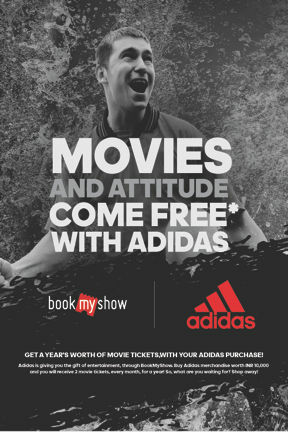 Thank you BookMyShow and team for great work." 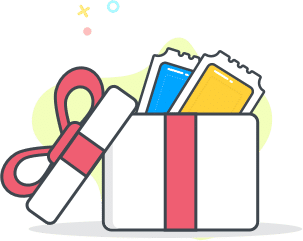 BookMyShow Gift Vouchers are amazing little pre-loaded cash cards (prepaid cards) that can be used to purchase ticket(s) across all verticals (Movies, Events, Plays, Sports) through our official website or mobile application. The vouchers have a validity period of 6 months, during which they can be used on multiple occasions. They can be loaded with various denominations of increasing amounts. What can I use a Gift Voucher for? Is there a limit on the number of vouchers that must be booked? Yes. You need to purchase a minimum of 50 vouchers amounting to at least INR 5000 in one go. Later, the order can be topped up, according to your requirement. What is the Validity Period of a Gift Voucher? Can we resell a Gift Voucher? Yes, but we have an entirely different commercial and structure for that. Get in touch with us for more details. Can Gift Vouchers be redeemed against loyalty or reward points? Yes! Get in touch with us for more details. 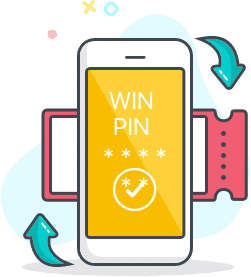 WinPins are promotional codes that offer a convenient way to present customers, employees or partners with free or discounted tickets while booking tickets through the BookMyShow website or mobile application. Each WinPin is only valid for a single use, and cannot be carried forward in the next transaction. The discounts are only applicable on the ticket price. They can vary from a set amount to a percentage of the ticket price to the full ticket price. What are the benefits of WinPin? What can I use a WinPin for? What is the Validity Period of a WinPin? Can we resell a WinPin? Can WinPins be redeemed against loyalty or reward points? What is a Movie Pack? Everyone loves a good movie! The Movie Pack is a great offer for any acquisition or engagement strategy. You can choose the number of movie tickets that can be grouped together for a validity period. These Movie Packs are a smart investment in the entertainment needs of your end customer. The perks? The Movie Pack is available to you at a deep discount, making it applicable for a volume of 3000 and above. We also customize these offerings on the basis of your requirements and budgets. 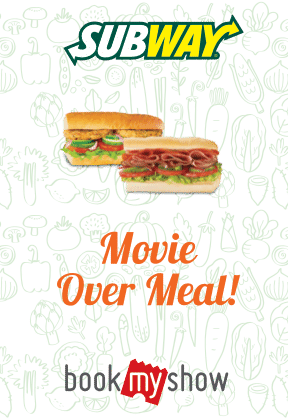 The Movie Pack can be used as a part of any rewards, incentive or loyalty program. What can I use a Movie Pack for? Is there a limit on the number of voucher that must be booked? Yes, you need to purchase a minimum of 3000 vouchers. What is the Validity Period of a Movie Pack? 1/2/3/6 or 12 months (Customizable). Can we resell a Movie Pack? No, it has to be free of cost to the end user. Can a Movie Pack be redeemed against loyalty or reward points? No, it can’t be, since there is a huge discount involved. 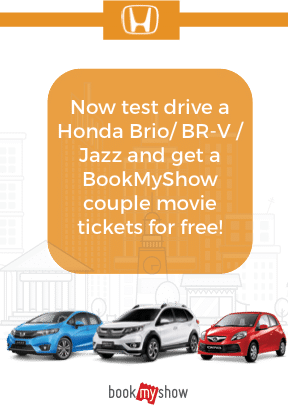 How will BookMyShow help grow my business? 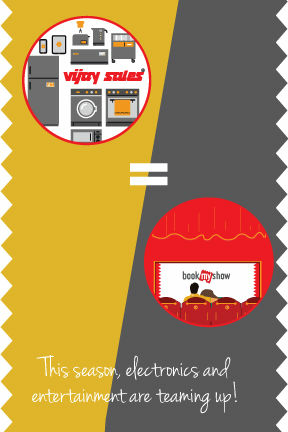 Whom should I use the BookMyShow vouchers for? *Can be anyone associated with you in any form. Where can the customers redeem the vouchers? 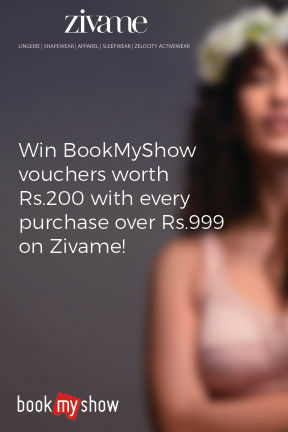 The customer can easily redeem the vouchers on the BookMyShow website and mobile application. What are the flexibility options for your service? Our programs are perfectly tailored to suit your requirements. For example, you can run a program PAN-India and reach out to more than 270 towns in the country! It is an absolutely seamless online experience for everyone! If I have multiple admits on the voucher, can I split them? This is only possible on Gift Vouchers, and not on WinPins and Movie Packs. Can I use these vouchers in any city of India? 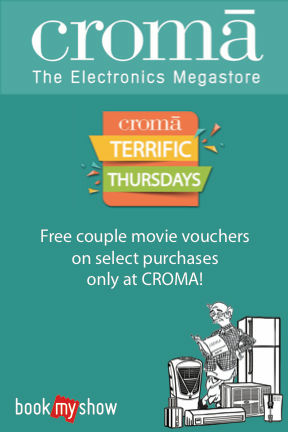 Each voucher has different T&Cs, depending on which they can be availed. The geographic validity will be mentioned on the back of the voucher. Who can redeem the voucher? Only the end customer can redeem the voucher. No agency or third party can redeem the voucher. Where can one redeem a Gift Voucher? 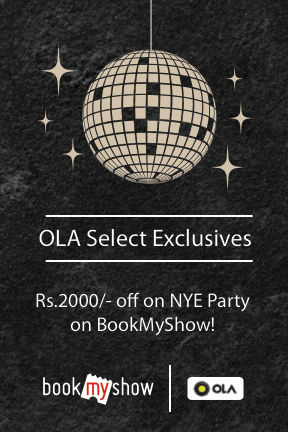 Log on to in.bookmyshow.com or the BookMyShow mobile application. Select the Location, Movie, Cinema, Show Date & Time and Seats of your preference, as the logic flows. On the Payment page, click the "Gift Voucher" tab on the left-hand side & then enter the Gift Voucher code in the text box that appears. Check the box that states "Yes, I accept the Terms & Conditions & Booking Policy" & click on the "Apply" button. Where can one redeem the WinPin voucher? On the payment page, go to “Unlock Offers or Apply Promocodes”, & enter the voucher e-code in the text box & click on "Apply" button to avail the offer. 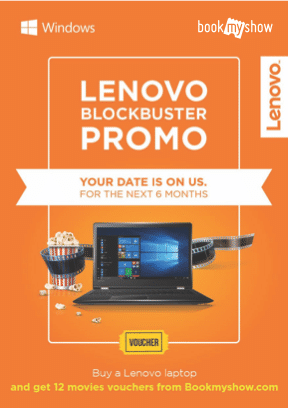 Where can one redeem the Movie Pack voucher? For any concern & escalations, whom do I contact? Just call 022 6144 5050, 022 3989 5050 or (PAN-India) and select 1 from the main menu to speak to a Customer Care Executive. BookMyShow offers multiple payment options like NEFT, RTGS, etc. How do I arrange for a larger corporate order? Whom do I contact for more information regarding this? Let us make it easy for you. We are happy to help and create a successful campaign that suits your budget and requirements. Write to us at [email protected], and our team will get in touch with you within 48 hours. Simply click here to ask us your question.